Greg Price explores the world of liqueurs beyond beers and whiskey. Drinks from around the globe. Share the post "Drinks around the world"
Most alcoholic drinks – be it beer, wine, gin, vodka or whiskey – can be made almost anywhere without incurring challenges to their nomenclature. But, some drinks can only be produced in their country of origin. France is known for its impressive output of fine wines. What people may not be familiar with is that it also produces absinthe, an extremely potent anise-flavoured spirit. Anyone who’s ever had sambuca will undoubtedly find the liquorice-y taste of ‘the green fairy’ very familiar. France is also known for its liqueurs, such as the herbal Benedictine and the orange-flavoured Gran Mariner, both of which are used extensively in cocktail bars around the world. France does not hold a monopoly on European liqueurs. In addition to wine and grappa, Italy has an extensive laundry list of liqueurs that are produced all over the country. The most popular is Campari, a dark-red bitter aperitif which is a vital ingredient in classic cocktails like Negroni. Another Italian liqueur that is often used in cocktails – particularly in American ones – is the almond-flavoured Amaretto. For something sweeter and fruitier, there is Limoncello, a lemon-flavoured liqueur. Asian countries have their own national libations as well. 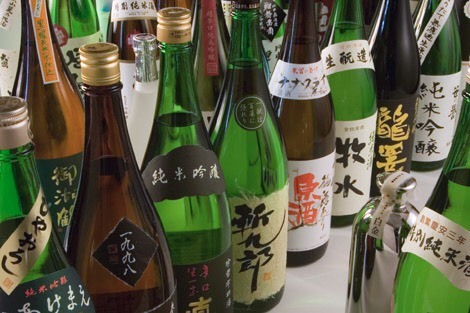 Japan has sake – a rice wine – and a distilled spirit made from long-grain rice called awamori, which is indigenous to the region of Okinawa. South Korea has a rice-based distilled spirit, soju, which is very popular with both locals and tourists. The southern Asian countries (such as the Philippines) share a colourless distilled spirit with India called arrack, which is most commonly made with either coconuts or sugarcane depending on the region. Since the prohibition, the States has become renowned for their bacchanalian culture. Apart from bourbon and the many varieties of beer, the US is notorious for producing moonshine: a largely outlawed, high-proof spirit that is essentially unaged whiskey. Though reduced-proof commercial versions can be found in liquor stores, the most authentic moonshine is made independently (and illicitly) in rural areas like the Appalachian Mountains or the East Texas backwoods. South American countries also have their own national drinks. Brazil has a national spirit, Cachaca, which is made from fermented sugarcane and is the basis for the Caipirinha, the country’s national cocktail. Trinidad, an island off the coast of Venezuela, is home to the Angostura Bitters, which are the most commonly used bitters in cocktails, without which neither the Old Fashioned nor the Manhattan would be possible. These exotic liqueurs are sure to make any party more cosmopolitan, with literally a world of possible concoctions. Next articleMcIlroy & The Masters: Eleventh time lucky?